We often are enthralled with monuments and monumental buildings and do not pay enough attention to the uniqueness and beauty of the more mundane places we encounter. Here are a couple of views of the commonplace. 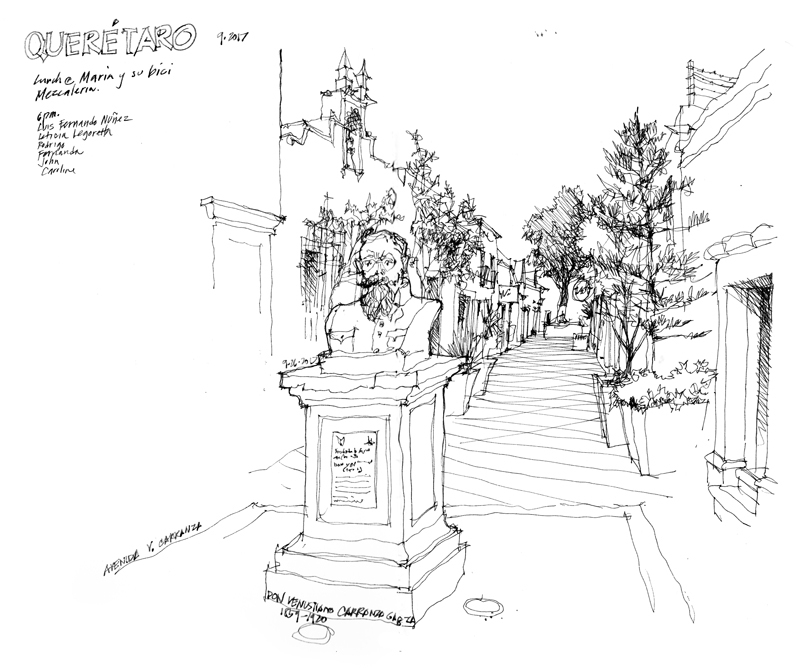 The first is the short pedestrian-only Calle V. Carranza, in the historic center of Querétaro. At the east end of the narrow street stands a bust of Venustiano Carranza Garza (1859–1920), the first elected president of the newly formed Mexican Republic in 1917, after the Mexican Revolution of 1910, and under whose watch the 1917 Constitution was ratified. 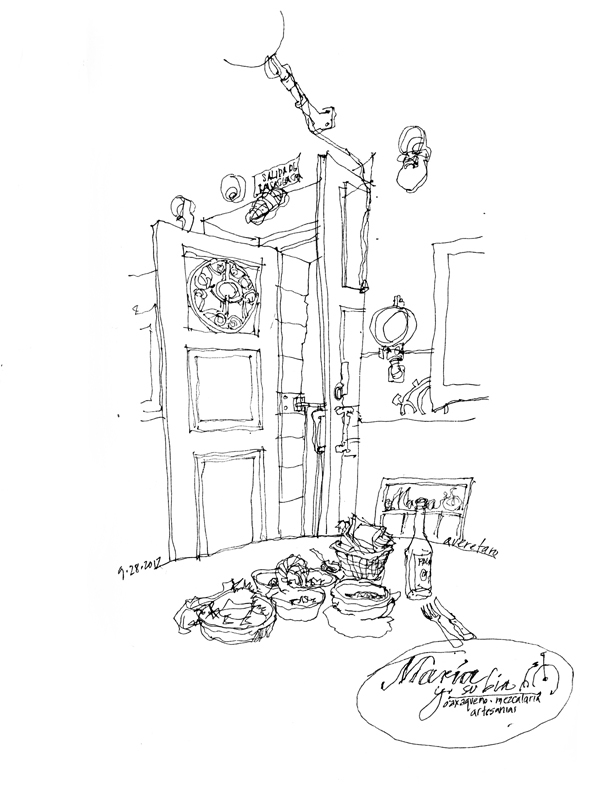 The second view illustrates the power of a simple line drawing to capture a scene—this one a table at Maria y su Bici, a Oaxacan mezcaleria in Querétaro.